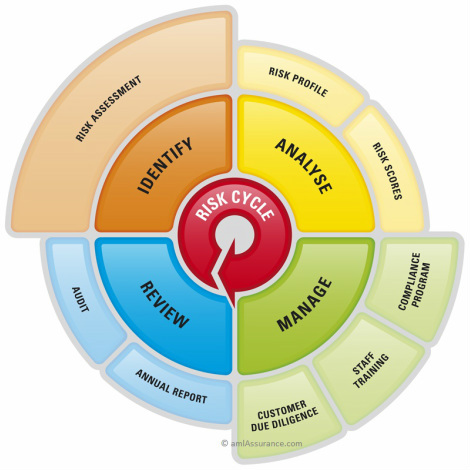 Some say you should complete the same risk mitigation exercise undertaken by finance businesses. But those rules don't actually apply to your business. And there are hidden dangers. The legislation carries obligations for finance businesses (which exempt businesses could choose to follow voluntarily) but those laws also carry protections and indemnities for businesses to which they apply, but NOT for exempt businesses. We understand that the exempt professions ARE different; and that your business needs to take care not inadvertently to breach ethical and contractual obligations for which you may have no protection. Exempt businesses 'following' the rules that apply to finance businesses can also fall into the trap of selective application; just doing the 'easy' bits. Financial businesses spent over three years at a reported cost between $70-$230 million conducting extensive risk assessments, compliance programs and more to provide the framework on which properly and effectively to meet the obligations that apply to them. This involved the complete risk cycle shown above. If exempt businesses select only some parts to 'follow' it's important to select and implement those elements without inadvertently exposing their business to additional risks. A series of complex and important issues also need to be addressed in shaping the precise rules that will apply to lawyers, accountants and real estate agents. For example, the interaction between reporting obligations and client confidentiality and legal professional privilege, whether voluntary codes of practice may be as effective as regulations, and whether a government agency is the best supervisor for specialist sectors that already have existing regulatory and representative bodies. The rules that apply to these professions are different to those that apply to finance businesses; this adds another layer of complexity (and risk) for any of the exempt businesses trying to follow the rules that apply to banks. Yet doing nothing while these issues are resolved won't mitigate the increased risks that most exempt businesses already now face. And (rightly so) your business also wants to do the right thing as a responsible member of your community; and to reduce business risk. Whatever detailed rules will ultimately apply to your profession, the core fundamentals are known. This means that firms keen to meet international best practice can use globally recognised standards to reduce their risk to levels comparable with joining the regime; and for a short time can do so outside the glare of regulatory oversight. Firms can effectively remove the risk premium now attached to 'gatekeeper' professionals, and secure for themselves an easier transition path. A pragmatic first option is also available for exempt businesses; which can also help deliver the biggest initial 'bang for buck'. Drawing from a wealth of resources that track a multitude of methods used by criminal operations targeting your profession, firms can isolate key 'red flags' applicable to their own business. After all, people - not just systems - identify, manage and mitigate risk - so providing staff with knowledge of what to look for can dramatically reduce your business' risk profile. Contact us to help identify the parts of your business most susceptible to money laundering risk, and use internationally recognised methods used by criminals targeting your profession to develop key 'red flags' that apply specifically to your business.